Multiple translations of the speech given by Abu Bakr al-Baghdadi at the Grand Mosque in Mosul. 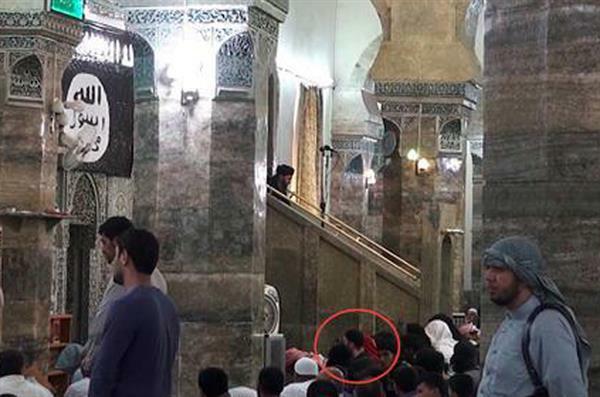 A picture posted by @DanieleRaineri appears to show a man matching the description of the Islamic State group's military commander, Omar al-Shishani during Friday prayers at a mosque in Mosul. A red-haired figure can just about be made out as the camera zooms in on Abu Bakr al-Baghdadi. If true, it would explain why the first row of men praying behind Baghdadi later in the video are blurred out of the image. Al-Shishani is believed to be a Chechen who formerly served in the Georgian army. AP reports that followers of the Shia cleric Muqtada al-Sadr has formed an army under the name of the al-Salam (Peace) brigades to defend Shia shrines. Commander Kadhim al-Isawi said that his fighters were deployed along with other government troops to defend al-Askari shrine, one of the holiest shrines in Shia Islam. The Shia al-Salam brigades have been stationed in the northern city of Samarra since ISIL fighters captured swathes of territory. Dispatch from our correspondent: Pro-Islamic State group social media accounts say that they've taken over the town of Jurf al-Sakhr, in Northern Babil Province, south of Baghdad. 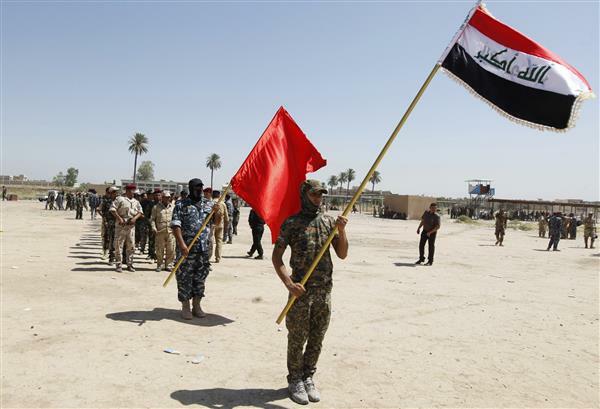 The government says clashes are ongoing there ‎between the armed group, Iraqi army and Shia militia. -- Imran Khan in Baghdad. 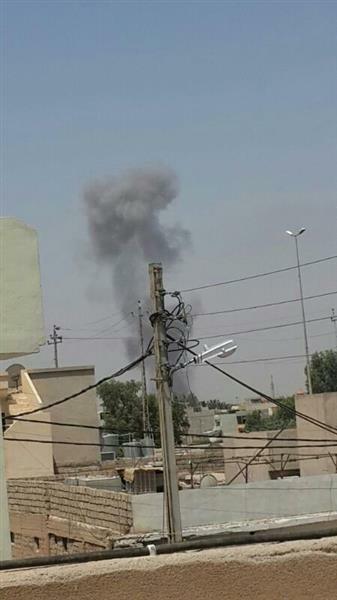 From our Baghdad bureau: This photo shows a plume rising after airstrikes on Mosul today. 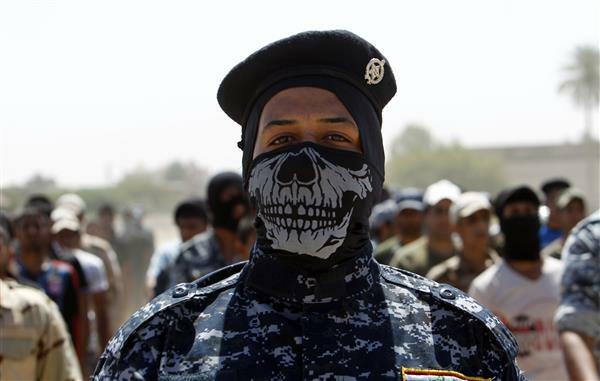 Reuters is reporting that the Iraqi forces have built a wall around Diyala province to protect it by keeping out fighters from the Islamic State group. Egyptian President Abdel Fattah al-Sisi said on Sunday that a referendum on the independence of Iraq's Kurdish region would lead to a "catastrophic" break up of the country. The comments from Sisi indicate a growing fear in the region that the division of Iraq could further empower the Islamic State group fighters, who recently declared a "caliphate", Reuters news agency reported. "The referendum that the Kurds are asking for now is in reality no more than the start of a catastrophic division of Iraq into smaller rival states," Egypt's MENA news agency quoted Sisi as saying during a meeting with local journalists. The president of Iraq's autonomous Kurdish north, Massoud Barzani, asked the region's parliament on Thursday to prepare the way for a referendum on independence. Sisi also warned the United States and Europe about the ambitions of the Islamic State group: "ISIL had a plan to take over Egypt," Sisi said. "I had warned the United States and Europe from providing any aid to them and told them they will come out of Syria to target Iraq then Jordan then Saudi Arabia. A video posted by an Islamic State group-affiliated Twitter account appears to show a parrot squawking their slogan. In the video, which is said to have been taken in Syria, a man shouts "Dawlat Islam", which means Islamic State, to which the parrot responds "baqiya", meaning "remains". A number of videos posted by the group show fighters making prisoners shout "baqiya" . Al Jazeera cannot independently verify the accuracy of the footage. 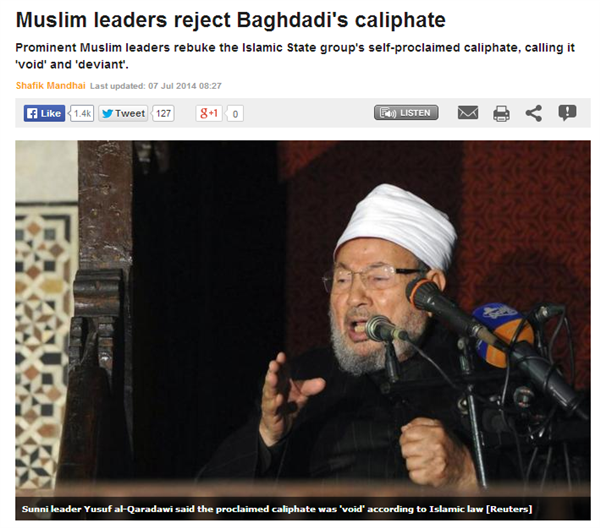 Some much-needed context on the self-proclaimed caliphate in this piece we've just published by Shafik Mandhai. The article's picking up steam on social media, too. Our correspondent in Baghdad, Imran Khan, has posted this picture from an Islamic State group-affiliated account showing a suicide bomber responsible for an attack in Baghdad yesterday. 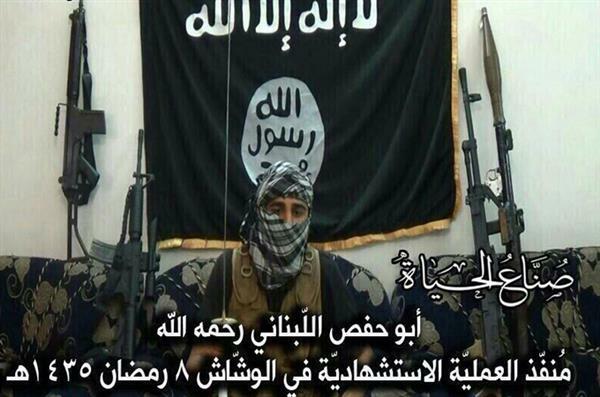 The name given is Abu Hafs al-Lubnaani, suggesting the man is a foreign fighter from Lebanon. 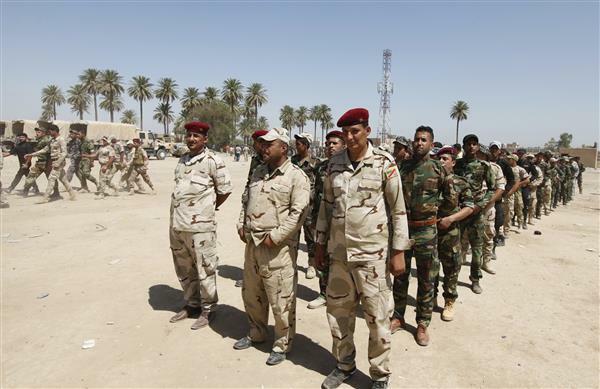 The AFP news agency is reporting that the commander of the Iraqi army's 6th division has been killed in shelling west of Baghdad. They're citing a spokesman in Prime Minister Nouri al-Maliki's office and you can find more detail on the story here. 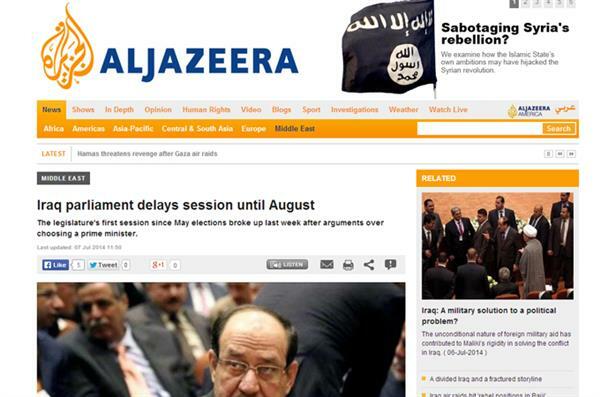 Another update from Reuters; the Iraqi parliament's next session has been postponed until July 12. Reuters have posted an official correction to the previous update; Iraq's next parliamentary session is postponed until August 12. State TV had previously said that the country's parliament would reconvene on July 12. Iraq's next parliamentary session has been postponed until August, read our report here. China hopes that Iraq can form a new inclusive government as soon as possible and will support efforts by Baghdad to protect its sovereignty. The country has a big economic state in Iraq, with fice Chinese state firms holding a fifth of Iraq's oil projects. You can read their full piece here. The Islamic State group has taken control of a vast former chemical weapons facility northwest of Baghdad, where 2,500 degraded chemical rockets filled decades ago with the deadly nerve agent sarin or their remnants were stored along with other chemical warfare agents, Iraq said in a letter circulated Tuesday at the United Nations. The US government played down the threat from the takeover, saying there are no intact chemical weapons and it would be very difficult, if not impossible, to use the material for military purposes. 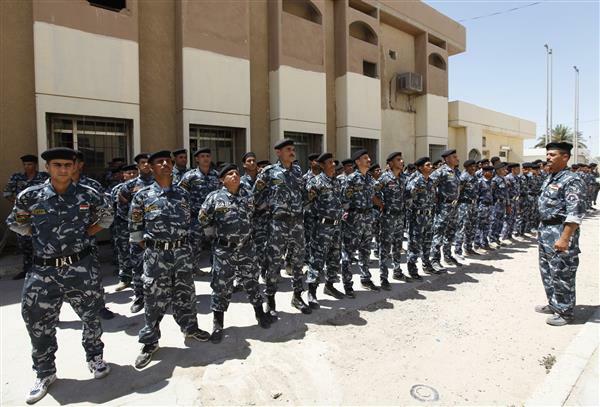 Iraq's UN Ambassador Mohamed Ali Alhakim told UN Secretary-General Ban Ki-moon in a letter that "armed terrorist groups'' entered the Muthanna site on June 11, detained officers and soldiers from the protection force guarding the facilities and seized their weapons. The following morning, the project manager spotted the looting of some equipment via the camera surveillance system before the "terrorists'' disabled it, he said. Alhakim said as a result of the takeover of Muthanna, Iraq is unable "to fulfil its obligations to destroy chemical weapons'' because of the deteriorating security situation. The latest line in from the AP- Fighters from the Islamic State group have taken control of a vast former chemical weapons facility northwest of Baghdad, where remnants of 2,500 degraded chemical rockets filled decades ago with the deadly nerve agent sarin are stored along with other chemical warfare agents, Iraq said in a letter circulated Tuesday at the United Nations. 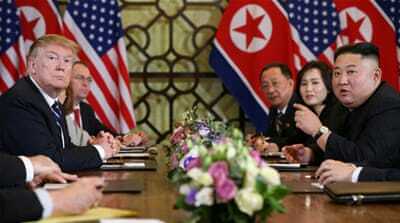 The US government, however, played down the threat from the takeover, saying there are no intact chemical weapons and it would be very difficult, if not impossible, to use the material for military purposes. Security forces have confirmed that rebels have shot down a helicopter northwest of Ramadi using anti-aircraft guns previously captured from the Iraqi army. More Maliki comments on Erbil from Reuters: "We will never be silent about Erbil becoming a base for the operations of the Islamic State and Baathists and al-Qaeda and the terrorists," Nouri Al-Maliki, the Iraqi prime minister, said in his weekly televised address. Maliki's relationship with the Massoud Barzani, the Kurdish president, has deteriorated amid the sectarian violence that has threatened to split the country. Barzani last week asked the parliament of the autonomous Kurdish region to plan a referendum on Kurdish independence, signalling his impatience with Baghdad. 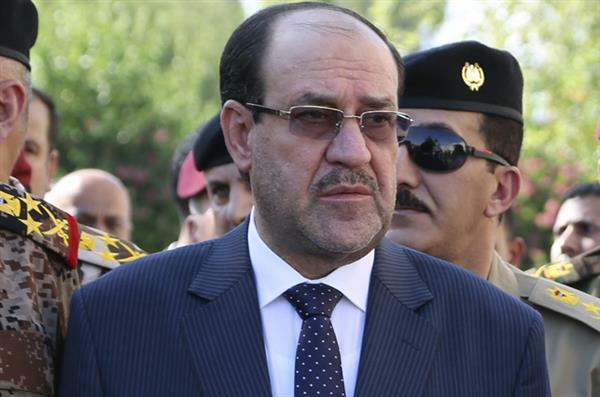 Maliki, meanwhile, has accused the Kurds of exploiting the crisis to push for statehood. More on the letter Iraq sent to the UN- The Iraqi government says Islamic State fighters have seized nuclear materials used for scientific research from a university in the country's north. Nearly 40kg of uranium compounds were kept at Mosul University, Iraq's UN Ambassador Mohamed Ali Alhakim told UN Secretary-General Ban Ki-moon in the July 8 letter obtained by Reuters. The same letter also said that armed fighters from the group had obtained old chemical weapons stockpiles leftover from the reign of former President Saddam Hussein. Reuters have a reaction from the UN on the nuclear material reportedly seized by Sunni rebels in Iraq. The UN nuclear agency says the material taken was "low grade" and did not pose significant security risk. 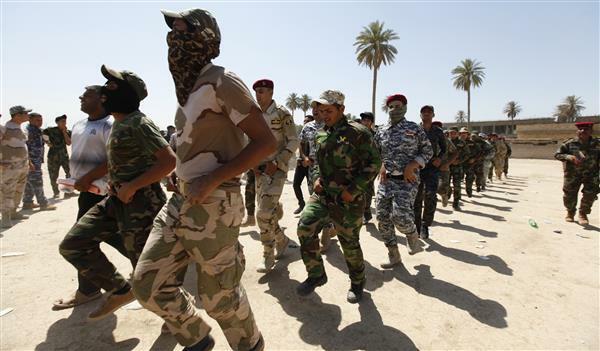 Shia volunteers, who have joined the Iraqi army, gather before marching during training in Baghdad. This picture posted by an Islamic State group-affiliated Twitter account appears to show fighters entering the Alam town north of the Tikrit-Kirkuk road. Al Jazeera cannot independently verify the authenticity of the image. #Iraq. 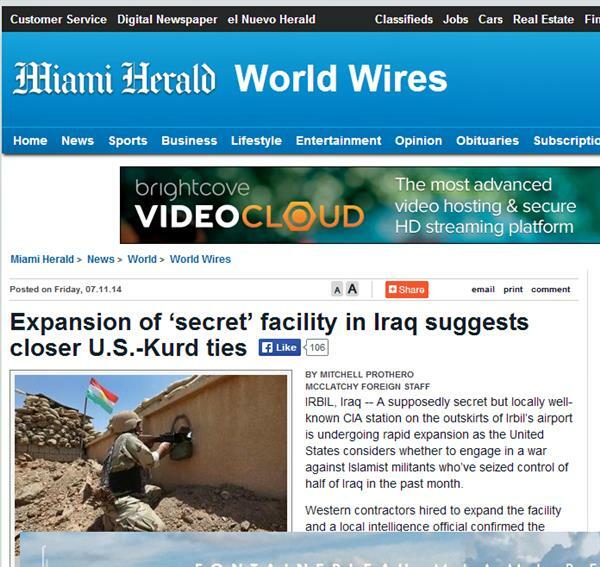 Reports from Ramadi that 50 US military advisers have arrived to help Iraqi forces. At least 31 people have been killed in suicide car bombings near Kirkuk in Northern Iraq. 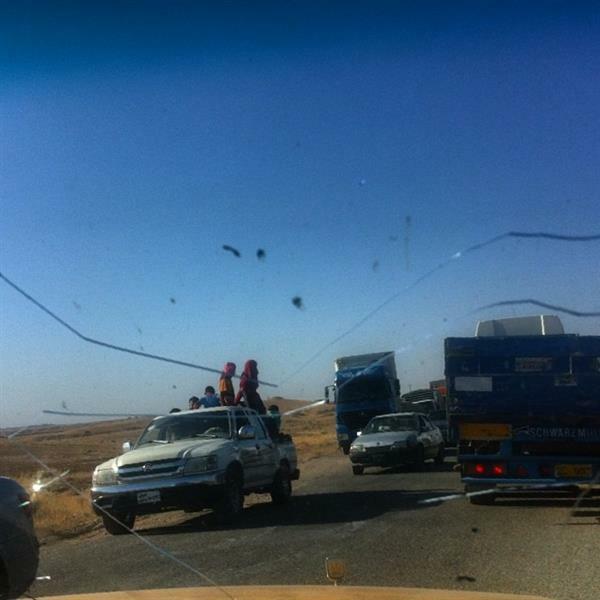 The attacks targeted a checkpoint manned by Kurdish forces. The Kurds moved into Kirkuk after the Iraqi army abandoned its posts in the face of the Sunni rebellion, which began last month. And as the Kurds take new territory they are facing new dangers. Al Jazeera's Zeina Khodr reports from Toz Kharmatu. Questions have been raised about the alleged leaked audio claiming that Jabhat al-Nusra has declared an Islamic Emirate of the Levant. According to analysis by Al Jazeera, the audio was not published by al-Manar A-Baida, the official media wing of al-Nusra. Instead it was posted on a pro-rebel website called As-Sabeel. The poor quality of the audio also raised skepticism about its real origin. A video has been released on July 11 showing Canadian citizen Andre Poulin who was killed in Syria in January. Poulin had converted to Islam, changed his name to Abu Muslim and joined the Islamic State of Iraq and Sham (ISIS) to fight in Syria. 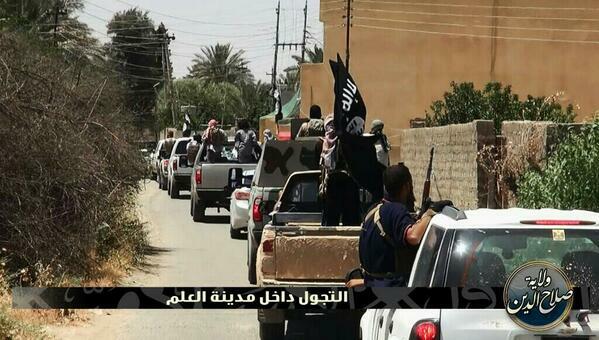 ISIS later extended its operation in Iraq and changed its name to Islamic State. This video features scenes of Poulin's death and should be viewed with caution. James F. Jeffrey, former US ambassador to Iraq from 2010 to 2012, and visiting fellow at the Washington Institute for Near East Policy, shares his thoughts about his experience dealing with Iraqi Prime Minister Nouri al-Maliki. He said that while he is "deeply skeptical" about Maliki's ability to lead Iraq, it is not the United States' job to tell Iraq who its leaders should be. But the remedy is not to use our soldiers to dictate constitutional and parliamentary outcomes, thus challenging the very constitutional order we fought so hard to establish. Read Jeffrey's Washington Post op-ed HERE. "When The Islamic State came we welcomed them. But now we want the army to come. The Islamic State raided the house of a former Member of Parliament, Wosam Aker al Rawi. "She was in her house in Rawa. The Islamic State soldier tried to take‎ her. Her family, some people from the town and the mosque elders managed to stop them, But still the Islamic State took her two brothers and confiscated 3kg of gold and a large amount of money. "A day later they freed them but only after they flogged them. They kept the gold and money. They have arrested and flogged others and they do this daily. They have set up a sharia court and they flog people without mercy." 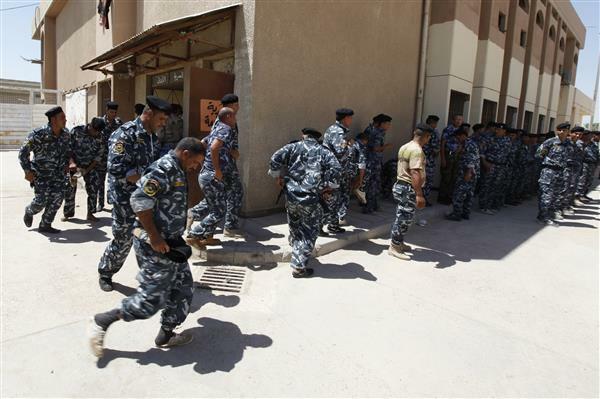 Gunmen have stormed a compound in the Iraqi capital and killed 25 women, police told the AFP news agency. Two car bombs struck Baghdad, killing six people and wounding a dozen others, police and medical sources said. The explosions on Monday occurred as the Shia-led government of Prime Minister Nouri al-Maliki battles Sunni armed groups who have taken over large parts of northern and western Iraq and threatened the capital. The first bomb exploded in the central district of Alawi, killing three people and wounding six. Sunni politician Salim al-Jabouri has been elected Iraq's new speaker on, winning an absolute majority of votes from deputies. Live television footage broadcast on state TV on Tuesday from inside the parliamentary chamber showed Jabouri being congratulated by other lawmakers. Masoud Barzani, the leader of the Iraqi Kurdistan Region says he warned the Iraqi Prime Minister that Sunni Rebels were advancing. But he told Al Jazeera that his offer to help was ignored. UN Secretary-General Ban Ki-moon is urging all countries to enforce an arms embargo, financial sanctions and travel bans against the Islamic State group. Iraqi police say that at least 60 people have been killed in north of Baghdad after suicide bombers and gunmen attacked a bus transferring convicts and clashes erupted security forces. 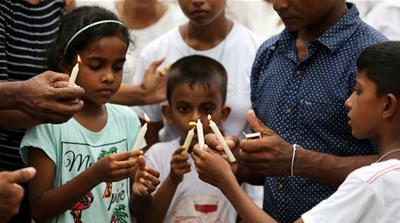 The dead include prisoners and policemen, an official at the Interior Ministry told the AFP news agency. Thursday's assault came a year almost to the day after an attack on two Iraqi prisons freed some 500 inmates. This video, posted on Youtube, shows the destruction of the Younis Mosque in Mosul today, according to the author. A spokesman for Iraq's minority Yazidi community says tens of thousands of its members have fled their homes after Islamic State fighters captured their towns. He said that the fighters on Sunday gave the Yazidis an ultimatum to convert to Islam, pay a tax or flee their homes - otherwise they would face death. The Yazidis are a Kurdish ethno-religious community, representing an ancient religion linked to Zoroastrianism. In July, the Islamic State group warned the Christian community in Mosul that they would face death if they did not embrace Islam or pay tax.